LaVar Ball, father of UCLA basketball player, LiAngelo Ball, dug his grave deeper after refusing to thank Donald Trump on live television, after the President had been pivotal in the release of the three UCLA players, (including his son), that were to be stuck in a Chinese jail after getting caught shoplifting sunglasses and other merchandise in more than one store in the Huangzhou district. Viewers were treated to an interview with LaVar Ball on CNN with Chris Cuomo, which has baffled many people and caused confusion and ridicule over the Internet, due to LaVar Ball’s rhetoric and clear disdain for addressing the questions and the issues at hand during the live TV broadcast. Most of the time, Mr. Ball is talking himself around in a circle and was showing an unbelievable lack of intelligence and an inability to accept the truth, let alone thank the U.S. President for helping his son. 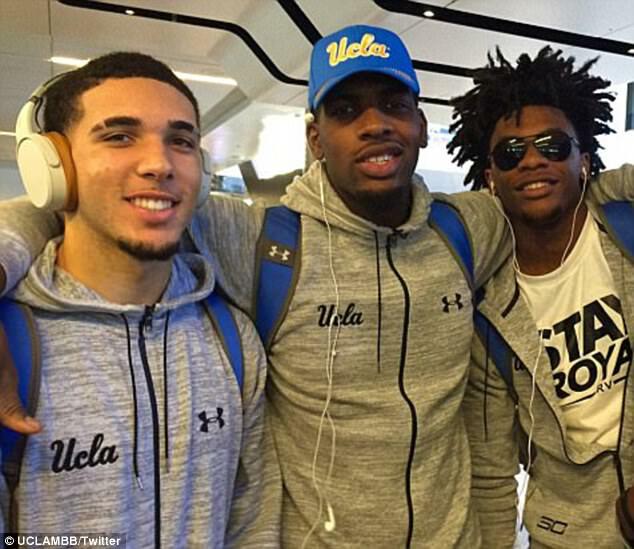 Donald Trump had visited Chinese President Xi Jinping to speak about trade deals and policy, and coincidentally, the UCLA players had been arrested for shoplifting at the time, so President Trump encouraged President Xi to release the three players and let them go home after they promised to make a public apology for their shoplifting mistake. Once the three players, (LiAngelo Ball, Cody Riley and Jalen Hill) got home, they made their public apology, and thanked President Donald Trump. LaVar Ball publicly shunned him for helping his son, saying, “Who?” in reference to the United States President playing any role in helping to release his son. Donald Trump tweeted the truth out, as usual. Many people have come to call LaVar Ball ungrateful, and even CNN’s Chris Cuomo is baffled. Just check out this epic interview below, which could only be described as embarrassing for the father. Do let us know what you think about all this in the comments section below as well. This is unbelievable. Why won’t LaVar Ball thank the President? LiAngelo Ball thanked President Donald Trump for saving his life from years in jail, and even Chris Cuomo wanted to really press him on this issue. How about that 90 second section of LaVar Ball being asked to be thanked on the CNN show by Chris Cuomo for even coming onto the show? We suppose LaVar Ball is either deranged, or really needs a PR spokesperson after that disastrous interview. Everybody is perplexed. Well, what to make of LaVar Ball? He’s seemingly scored no points with the public, and we of course, sympathise with LiAngelo Ball and the views of President Donald Trump after seeing this helpless interview with LaVar Ball. It’s really embarrassing to put things lightly. That was really the craziest interview that we have ever seen, anywhere, at any time in the history of live news interviews. We don’t foresee LaVar Ball and the Ball family ever being welcomed back to China with open arms after that interview.